On Tuesday, August 29, 2017 at approximately 7:00 PM, the Santa Ana Police Department responded to a report of a fight/assault at the skate park located inside Centennial Park. Officers discovered an unresponsive adult male suffering from significant trauma to his face and head. Officers detained and arrested a suspect at the scene. A second suspect fled prior to the arrival of officers. Orange County Fire Authority Paramedics responded and medics transported the victim to a local trauma center where doctors performed life-saving surgery. Doctors have listed the victim in critical condition. Santa Ana homicide detectives responded to the scene. Detectives identified the second suspect after they reviewed cellular phone video of the incident. 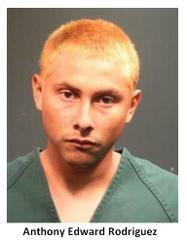 The second suspect was identified as Anthony Edward Rodriguez, 23-year old resident of Santa Ana. 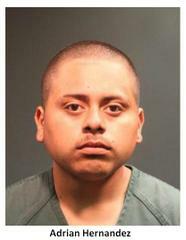 On August 30, 2017 homicide detectives located and arrested Rodriguez at a residence in the City of Santa Ana. The investigation is ongoing. Centennial Park and the skate park are heavily frequented by visitors. Detectives believe there are potential witnesses to this altercation who left the scene prior to law enforcement’s arrival. Detectives are asking that anyone with information or video of this incident to please call SAPD homicide detectives at (714) 245-8390, or Orange County Crime Stoppers at 1-855-TIP-OCCS.